KUNG FU ANIMALS (SAVE THE WORLD) is a setting for the hugely-popular and immensely-fun Savage Worlds roleplaying system. It’s a book that gives players the tools to create their own wild universes where semi-human characters become the world’s greatest heroes. We start with your character’s Origin–did they come to being by accident? Experiment? Are they an alien? A machine?–and then build from there. Each step, you get Edges, Hindrances, and Skills that help shape your unique character. The West Just Got Weirder: Deadlands/ Sixth Gun Crossover Announced! Fans of The Sixth Gun and Deadlands settings were excited to learn a crossover adventure was planned as a stretch goal for The Sixth Gun RPG Kickstarter. “This needs to happen…….no really…it does.” commented backer Brandon Janosco of Garden Grove, California, on the Kickstarter page. “Chocolate meet my peanut butter!” commented Facebook user Richard Mark Borges of Jamestown, Rhode Island. “Oh, snap! Deadlands + The Sixth Gun crossover? !” posted the Savage Bloggers Network on Google+. Lankhmar: City of Thieves RPG for Savage Worlds! But there is action, adventure, and wealth here too–if your rogues have the skill and bravado to claim it. Lankhmar: City of Thieves is the core setting book for Fritz Leiber’s world of swords & sorcery. It contains details on the world of Nehwon and the city of Lankhmar, Setting Rules, Savage Tales, monsters and foes, and recounts the tales of world’s most notorious scoundrels–including Fafhrd, the Gray Mouser, and their sorcerous sponsors. Students at East Texas University have a few more challenges than other students–balancing parties, studies, and saving the world! 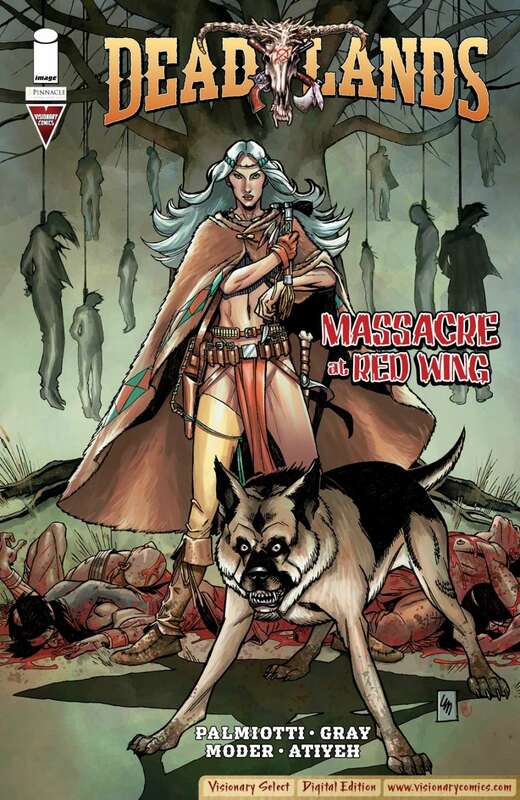 Pinnacle Entertainment Group and Visionary Comics have reached agreement with Tor Books for the publication of all-new, original prose novels set in the world of the popular roleplaying game Deadlands. 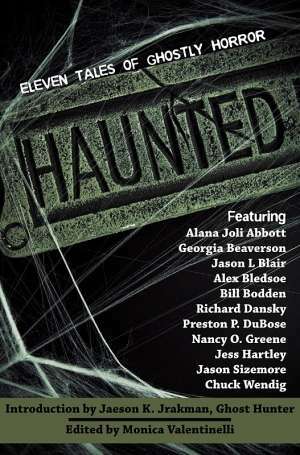 The deal calls for three novels, with an initial lineup of authors that includes New York Times bestselling, award-winning Jonathan Maberry and Jeff Mariotte. Pinnacle Entertainment Group’s Kickstarter, Weird Wars Rome for Savage Worlds, quickly surpassed funding. Digital rewards thus far include an original soundtrack, short adventures, and interior overlays for the poster maps. Most recently, all backers unlocked an 8 page supplement by Jack Emmert (of Cryptic Studios) on the role of class and race, the gods, and myths and legends of ancient Rome. 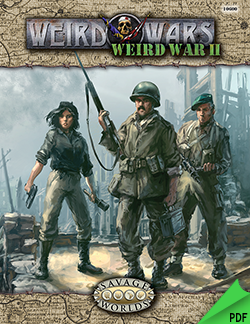 Weird Wars Rome is the latest in a series of tabletop roleplaying game books for the Weird Wars line by Pinnacle Entertainment Group. Weird Wars imagines military campaigns in history twisted by the supernatural for adventures both horrific and violent. In Weird Wars Rome, players are legionaries for the vast Roman Empire encountering the terror of war and far darker things. Deadlands Noir PDF Available Now! Deadlands Noir is now available in PDF format at the Flames Rising RPGNow Shop! I have to make a confession: I’m not overly familiar with the original Hell on Earth setting. A friend who had both it and Deadlands offered our gaming group at the time the promise of a storyline that would stretch from characters in Deadlands all the way to the far flung future of Hell on Earth. 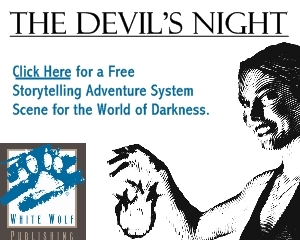 We never made it to the second-tier of his story; other games came a’knockin’. That said, I had a faint overview of the setting, strong familiarity with the system, and powerful motivation for the revised material. Hell on Earth (HoE from now on) is a large (209 pages) full-color bear with tons o’ teeth. You can’t keep a good game down. Deadlands has been around for over 15 years. It’s gone through two editions, a d20 version, and two Savage World editions. It’s spawned spin-off games ranging from sequels like Hell on Earth and Lost Colony to acclaimed CCGs like Doomtown. 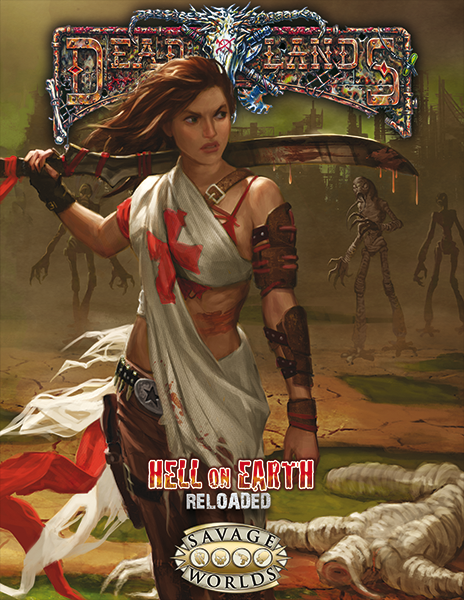 The game recently returned to Savage Worlds for the line’s budget minded Explorer Editions. The Marshall’s Handbook is built for the brave soul looking to take his or her players on a tour of the Weird West. 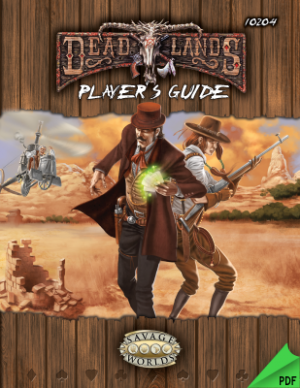 It’s built for fans of the setting that want to use the slimmed down Savage Worlds rules, which were born out of the original Deadlands rules. Fabled Environments is proud to announce a PDF Charity Bundle to benefit the Michael Rohan Memorial Fund. 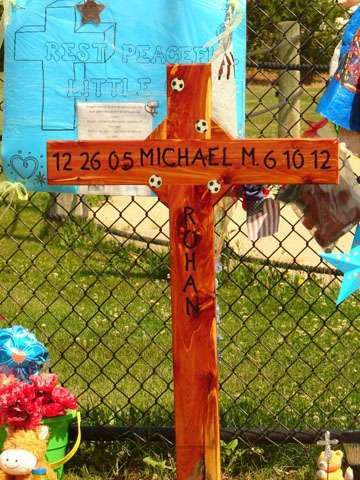 100% of the net proceeds from this bundle will go to The Michael Rohan Memorial Fund. The bundle will be available until August 1st. Publishers currently included in the bundle are: Pinnacle Entertainment Group, Fat Goblin Games, Silver gryphon Games, ProFantasy, Reality Blurs, Misfit Studios and more! The Michael Rohan Memorial Fund Charity RPG Bundle is available at the Flames Rising RPGNow Shop. 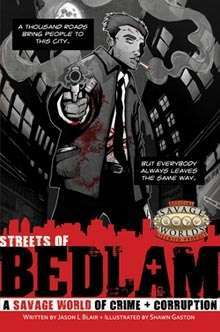 Streets of Bedlam: A Savage World of Crime + Corruption Available Now! Streets of Bedlam is available at the Flames Rising RPGNow Shop! 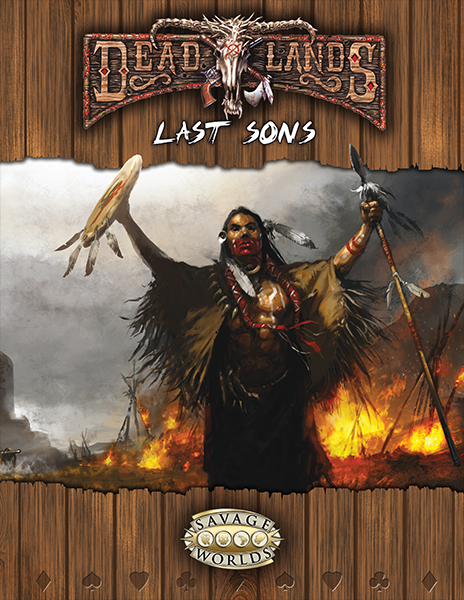 Pinnacle Entertainment brings Deadlands’ fans a monster tome (337 pages/no ads) that focuses on fleshing out Native American characters. There is also a bit of metaplot going on with Raven and his schemes. Coupled with the apparent removal of a major threat, the book has a very “new” feel to it, similar to what Shadowrun captures with its constant updating calendar. Despite its size, the book is truly a supplement, a gorgeous supplement loaded with all the bells and whistles one expects from a corebook. The layout follows the Deadlands format by starting with fourteen pages of the Disputed Lands edition of the Tombstone Epitaph.